I have had a lifelong love of barbecue, but it wasn’t until I moved to South Carolina that I had any idea that the Carolinas have their own special styles of bbq sauce, one of which is a personal favorite: Carolina Gold ( Carolina Mustard BBQ Sauce ). What is Carolina Gold BBQ? 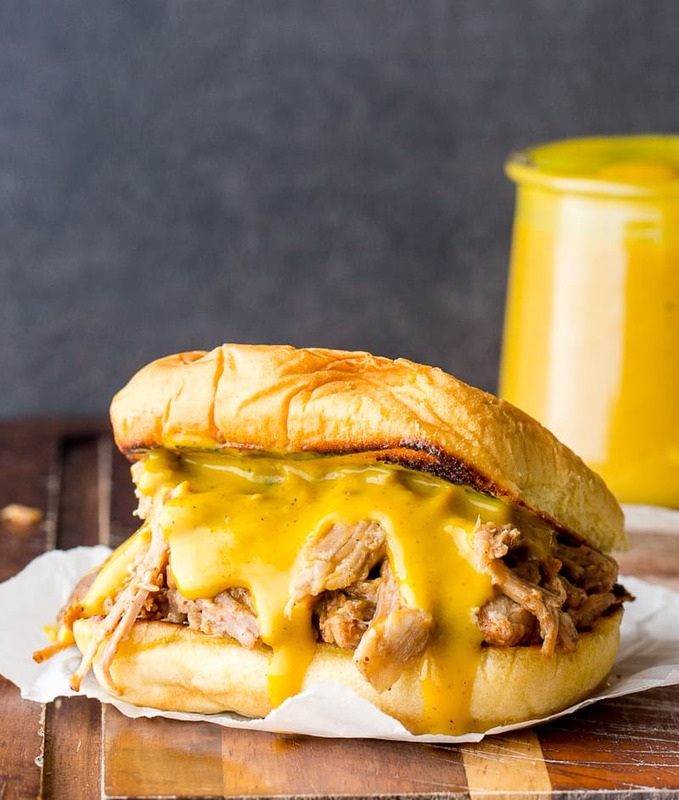 It’s a mustard based barbecue sauce that’s a little tangy, a little edgy, and a whole lot of delicious. Is Carolina BBQ Sauce sweet? 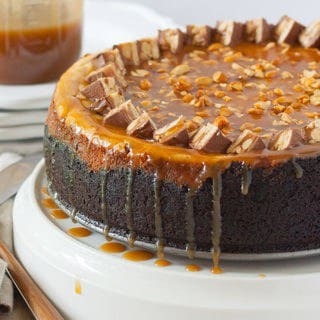 I really like to kick it up a little with some spice as well, but the cayenne is totally optional and feel free to leave it out if spice isn’t your thing. 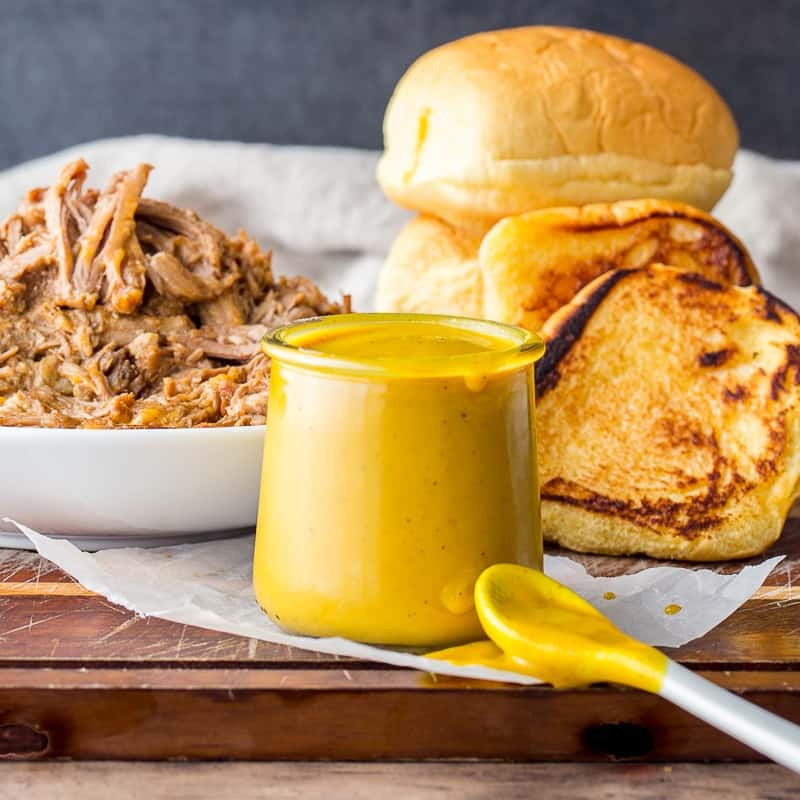 One of my favorite things about Carolina Gold Sauce is how it pairs perfectly with pulled pork to cut through the fat and balance it all out. Bonus: as far as barbecue sauces go, it’s not completely tragic in terms of nutritional value either. There’s a little bit of sugar and honey, but my mustard barbecue sauce recipe has no added oil or fat, and it’s low in calories as well. Carolina Gold can be used on so much more than just plain barbecue as well. 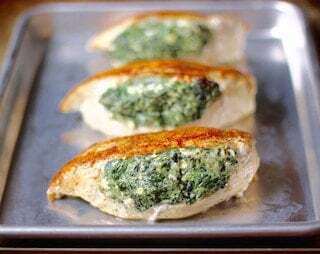 It’s delicious as a dip for sweet potato wedges, a fun option for tossing hot wings in, and can even be brushed over baked salmon! 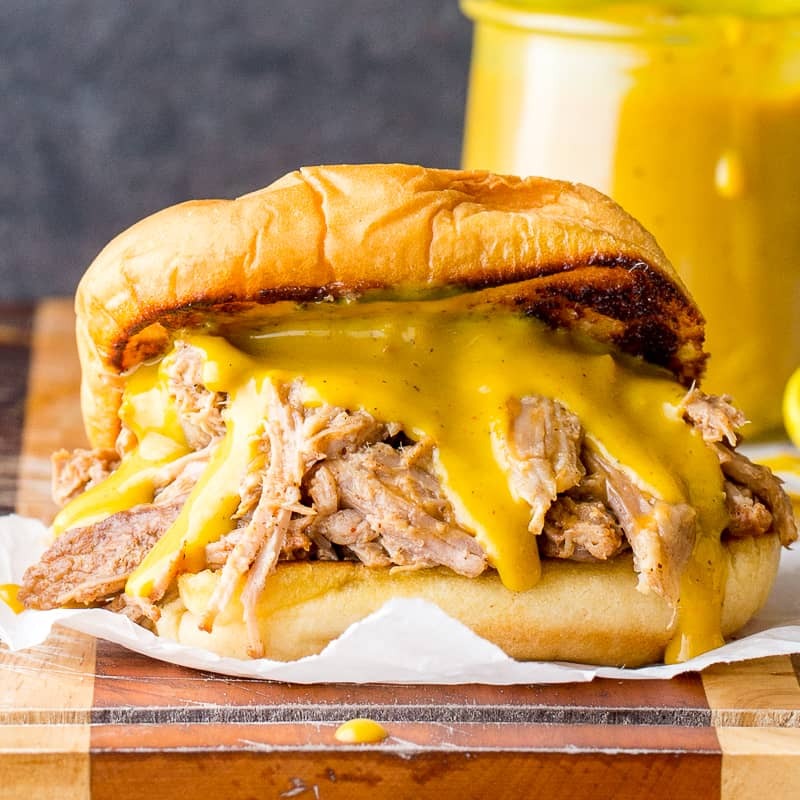 The Best Caroline Gold Mustard Barbecue Sauce recipe! Perfect for pulled pork, tossing hot wings, or even dipping french fries. In a medium saucepan over medium heat, bring all ingredients to a boil and then reduce to a simmer. Simmer for 5 minutes, stirring occasionally. Let cool and serve!